The Doctors shared a video of a 24-year-old woman named Brittany who attempted the Kylie Jenner lip challenge. She used a DIY product at home in attempt to get fuller lips like her favorite celebrity, and her lips puffed up to a ridiculous size. 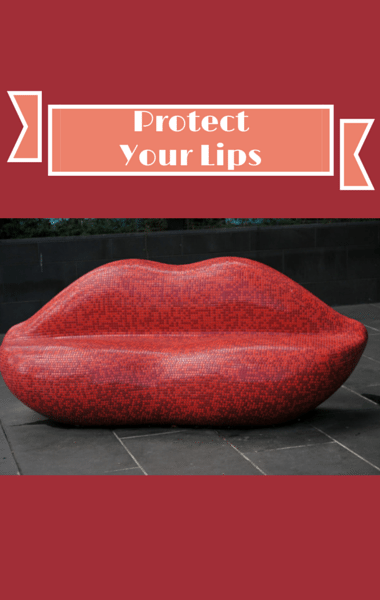 Her lips eventually deflated, but she was left with severe bruising. The good news is she doesn’t plan on using the product again. The Doctors said it was another example of why bigger is not always better. The Doctors showed the product and said she only had it on her lips for two minutes and she got that incredible result. It certainly didn’t look pretty, and you’re basically giving your lips a hickey. Dr Stork said a look like that would make it harder to smooch! “Smooch” was the word of the day and you can use the word smooch on The Doctors’ website to enter for a chance to win your own Brand MD Age Defense System kit worth $225. The Doctors shared their News in 2:00, beginning by sharing that you may want to think twice before drinking soda from a can or plastic bottle. Researchers in South Korea found that cans and bottles lined with a controversial chemical, BPA, is linked to high blood pressure and heart rate issues. The report claims that an increase is systolic blood pressure by drinking just two canned beverages a day, may cause problems in patients with heart disease and hypertension. A new study has reported that one in three people prescribed opioid prescription painkillers are taking them in dangerous combinations with other medications. Taking prescription opioids in combination with medicines prescribed for anxiety or muscle relaxation can have a cumulative sedating effective, reducing respiratory function, which could result in death. The report claims that more people die from overdosing on these prescription drugs than from cocaine and heroin combined. Self-medicating is actually possible for animals too. If you’ve ever seen your cat or dog munch on grass, a report claims that it could be them detecting the therapeutic benefits of plants. Dogs and cats may eat grass to relieve stomach pain or gastric reflux. Chimps could also eat rough leaves, while pregnant elephants eat certain plants to induce pregnancy. Some birds will also use ants to kill feather lice. The Doctors know that cross contamination can lead to food-borne illness. The top contamination hazard in your kitchen is actually your kitchen towels. Be sure to wash your hand towels after each home cooked meal. Be careful when cooking with eggs and meat. Occasionally, it may be better to use a paper towel if it’s full of poultry juice or something else that may have bacteria in it.